How many bicyclists in Missouri? According to the 2002 National Survey of Pedestrian and Bicyclist Attitudes and Behaviors, 27.3% of adults in the U.S. bicycle at least once a month May-September. According to the Census Bureau, Missouri has an estimated 5.8 million population (2006). 24.2% of the population is under 18, meaning that Missouri had 4.4 million adults. 27% (the percentage of adults who bicycle regularly in the U.S.) times 4.4 million gives 1.2 million adult bicyclists in Missouri. The leaves 17.6% of the population, or 1.0 million, that is under the age of 18 but over the age of 4. According to Safe Kids Worldwide, more than 70 percent of all children ages 5 to 14 ride bikes. 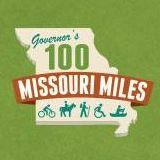 That makes 720,000 Missouri children who bicycle regularly. Combining these two figures give 1.9 million Missourians who bicycle regularly (at least once per month during the good-weather months). That is 35% of the Missouri population old enough to operate a bicycle. As a rule of thumb, 20% of bicyclists are "avid"; these avid bicyclists ride once or more each week and a responsible for approximately 80% of the bicycle miles ridden. This suggests that in Missouri we have about 400,000 avid bicyclists. These numbers are, obviously, estimates. Until more detailed studies of Missouri's bicycling population are done, these are the best estimates we have available. Updated 12/2008. Stage 4: Will Missouri's two million bicyclists be the real winner?